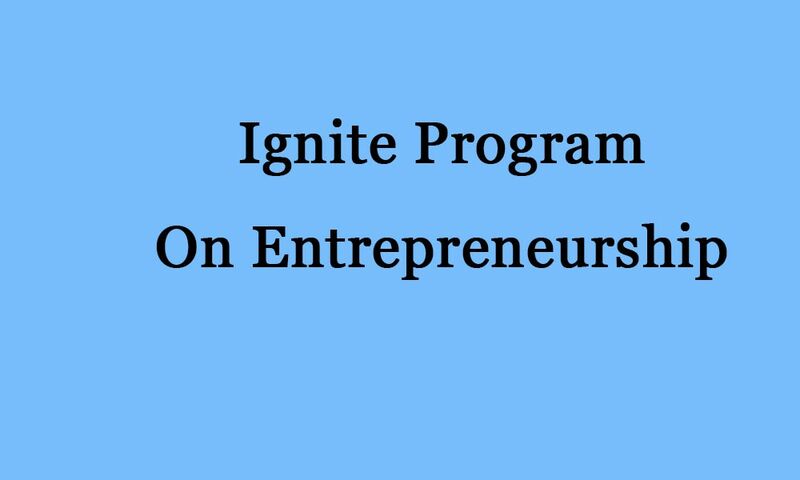 Ignite Program on Entrepreneurship will be conducted from 6th of January to 24th of February 2019 at Bangalore. We have scheduled an Ignite Program on Entrepreneurship which will be held from 6th January to 24th February at Bangalore. The IGNITE Level 1 program by Entrepreneurship Garage is thoughtfully curated to take you through different steps on how to scale up the initiative and create a strong sustainable model. This program deals with gaining clarity about the idea and analyzing it from the perspective of market acceptance followed by insight on business and resource planning. For more information, you can contact us at 9844432311 or mail us at info@entrepreneurshipgarage.com.